3 3/4" bowl width and 2 5/8" height. 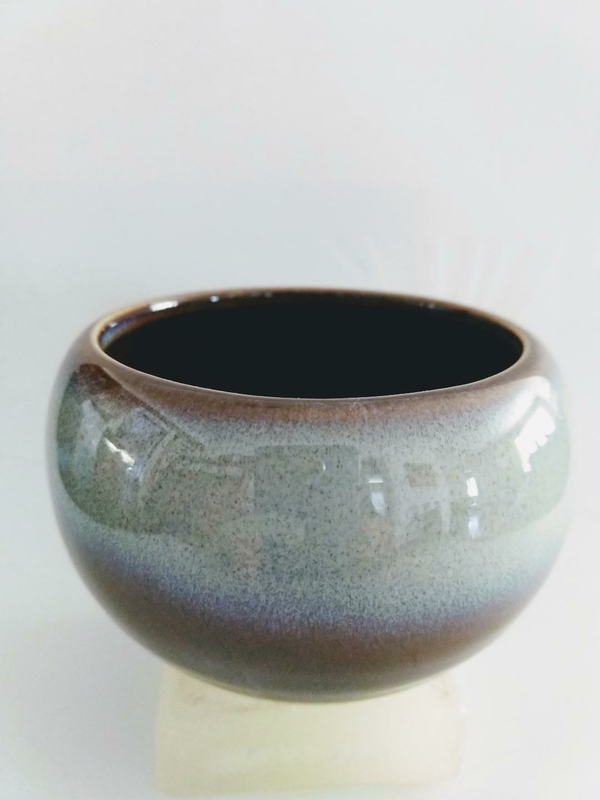 Grey bowl with dark brown base. A harmonious design of shape and color.